I received the friendly email below after my appearance on the Perpetual Chess Podcast. I know he asks for my opinion, but I am more interested in other’s opinions. And I have also made this commitment not to defend any opinions in debates since taking up a post in FIDE. For obvious mental health related reasons :-). I just listened to you on the perpetual chess podcast. I really enjoyed it and realise that you’re experience in the chess world is vastly superior to mine and with that your perspective is greatly appreciated. My intention is honest and sincere. I’m not about to post your reply on a forum and anything like that. I’m kinda wishing for the future of chess to be chess960 and was interested to hear your recent comment in the perpetual chess podcast. Genuinely interested, im too stoic to get upset by differing opinions but also believe these views and discussions to be extremely important to the future of chess. I am extremely interested in getting your perspective on something that you mentioned regarding chess960 as ‘the Fischer random circus’. During the podcast you also mentioned your preference for classical chess due to the ‘deep thinking’ aspect. I have interpretted these 2 snippets as on the one hand you’re pro deep thinking yet anti chess960 (compared to classical chess). I hope I haven’t completely misrepresented your beliefs here, I’m just making conclusions following 90 minutes of listening. Why do you on the 1 hand love thinking deeply and on the other regard chess960 as a ‘circus’. What am I missing that you are seeing? I personally love chess960 because to me it is an excellent opportunity each and every game from move 1 to think hard with no auto-piloting in the opening. I mean you can’t just be a d4 player in chess960 you’d at least need to make an assessment first. 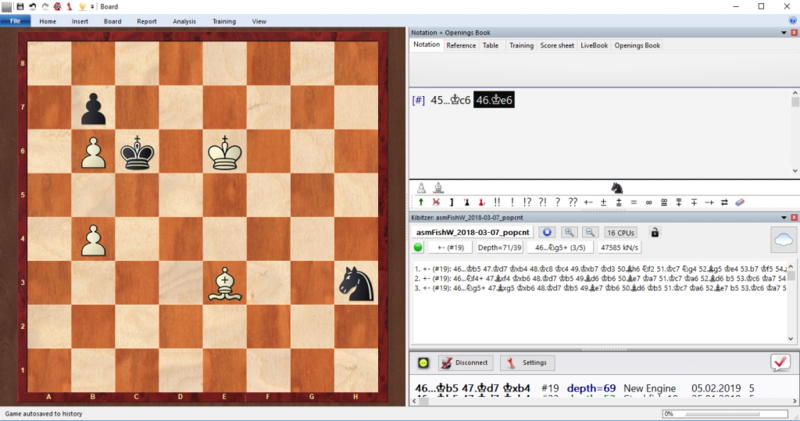 I actually find that I think deeper (in chess960) from move 1. To me it’s the deep thinking of chess that I love. In standard I have won many a game thanks to london system solely due to my opponent not being as familiar with it as me. But in chess960 I don’t get these opening edges (and vice versa) – to me that’s more pure chess than memorised lines bring to the board. To me being given more variety of opening positions leads to more varied positions to assess which leads to more deep thinking. But… classical/standard chess is sooo much more popular so I’m in the minority. So there must be something I’m missing. I think chess960 is like jazz whereas standard chess is more like classical music. Chalk and cheese as far as prep’s concerned. The thing that I see commonly mentioned are ‘unbalanced’ starting positions as a reason against chess960. But as long as each player plays same position as white and black what’s the big deal? Or if that’s impractical then to be honest, it’s rather obvious that even at top level e.g. Carlsen v caruana that even a computers 2+ edge is often not even realised. So until humans improve considerably I don’t think these computer assessments on unfamiliar positions really impact the human results much. I think the human aspect would likely be the difference. To me this is a matter of taste entirely. I also don’t like jazz too much. It is too rich and there is an information-overload happening to me when I listen to it. Which I do on rare occasions. I like the tradition of classical chess. I like that I begin the game in the same position as Kasparov did. I like the patterns of openings. All of Jason’s arguments are valid. To me it is a matter of taste. What do you guys think? We are continuing our free-fourth-book offer – if you buy three books or more and live in the normal European Union zone (as defined by UPS – for example, they exclude some islands and remote areas) we will send you an extra book free. Please note that if you buy a Special Offer and are in the EU zone, we will add one free book. For example, if a European buys the Special Offer on Tibor Karolyi’s excellent Tal trilogy, then we send the 3 Tal books in hardback, plus one free extra book. 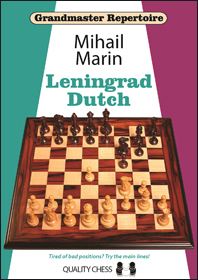 We have a book underway that I feel like announcing: a Grandmaster Repertoire on the Leningrad Dutch by Mihail Marin. When will it be published? No idea. As always, that depends on how smoothly the analysis and writing goes. And how wide awake our editors are. This book will be a complete repertoire for Black starting after 1.d4 f5. In fact, Mihail will also offer some brief thoughts on other first moves such as 1.Nf3 and 1.c4 from a Dutch player’s perspective. 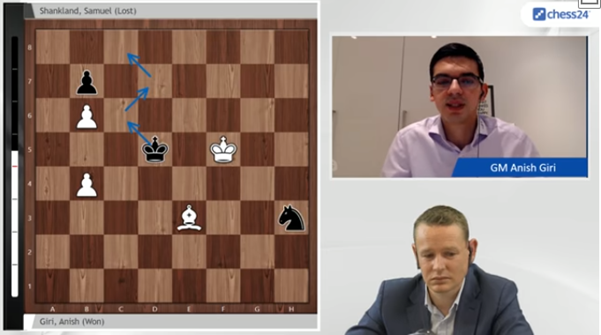 Van Foreest must have thought he could withstand the pressure along the g-file, but in reality this is much too weakening, as Anand expertly shows. Top-level chess kicks off for the year tomorrow with the huge Tata Steel event in Wijk aan Zee in the Netherlands. There are many tournaments, with most focus on the Masters which has an elite field headed by World Champion Magnus Carlsen. Also hoping to make an impact will be US Champion Sam Shankland. Naturally the Quality Chess connection to Sam is his book Small Steps to Giant Improvement. But if you prefer to receive Sam’s pawn-related instruction in video form, then below is a lecture Sam gave at the St Louis Chess Club. IM Sam Collins referred me to this email, because Adhiban said some nice things about the Quality Chess Academy, but I am putting it up here because Adhiban is fantastic and the game is fantastic and if you have half an hour to watch it, you should.